It’s out! Our new EP, Bang One Out, hits the virtual streets today. Better yet, buy it at CD Baby! Presenting: our new lyric video, which premiered on 3 January 2019 at Blogcritics. “Bang One Out” carries an antiwar and anti-hate message that sustains the impassioned topicality of “Mass Extinction No. 6.” The new lyric video whips around the world, taking in war memorials, political rallies, the post-election Women’s March, and more, with contrasting images of people and animals at peace with their surroundings. “Bang One Out” is the first track from our upcoming EP, to be followed by a full-length album later in 2019. 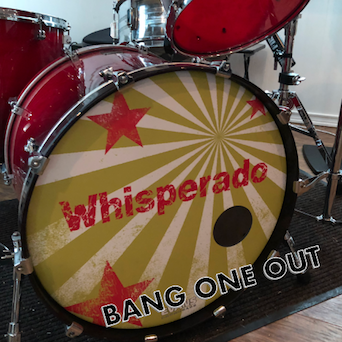 Stay tuned for news on lots more new music from Whisperado! And click here to see the new video. – ARLENE’S GROCERY: Sunday, February 12, 2017. One set at 8 PM. $8 cover. 95 Stanton St., Manhattan. – MIKE RISKO MUSIC SCHOOL: Sunday, February 26, 2017. Jon and Elisa acoustic duo with songs of Elisa Peimer and Whisperado. One set at 7 PM. No cover, all ages. 144 Croton Avenue, Ossining NY. – PARKSIDE LOUNGE: Thursday, December 29, 2016. One set at 8 PM. No cover, two-drink minimum. 317 East Houston St., Manhattan. – BRANDED SALOON: Saturday, January 21, 2017. One set at 6:45 PM. $10 cover. Good pub food. 603 Vanderbilt Ave., Prospect Heights, Brooklyn. May 25, 2016: NEW VIDEO! Daniel Azarian’s stunning new video for our new song “Mass Extinction No. 6” is out. You remember Dan, he directed the amazing “Teenage Poster Girl” video a few years ago. You can scroll down to see that one, but first, check out this amazing new piece of video magic. April 14, 2016: NEW VIDEO! 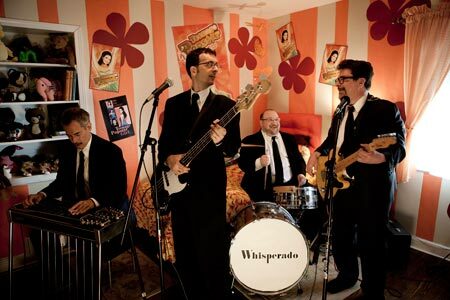 Watch for the forthcoming Whisperado video by ace videographer Daniel Azarian, coming soon. Meanwhile, be sure to like us on Facebook. Because that’s how we roll. 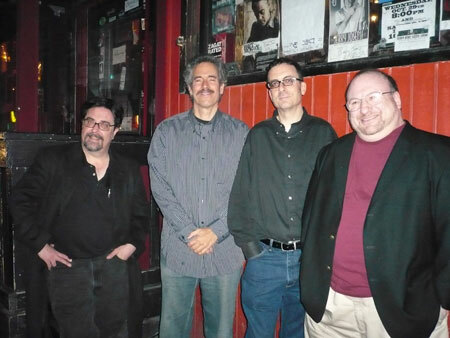 Thanks to everyone who came to our CD release party and made it such a success. If you missed it, be sure to pick up a copy of the new CD, I’m Not the Road, in physical or digital form at CD Baby. EXCITING VIDEO NEWS: Our video for “Teenage Popstar Girl,” directed by Daniel Azarian, won Best International Music Video at the 2013 London Independent Film Festival. BUY OUR CD! Our new (and first full-length) CD, I’m Not the Road, is available now. • Purchase it online at CD Baby or iTunes. • LYRICS: Click here for the lyrics. 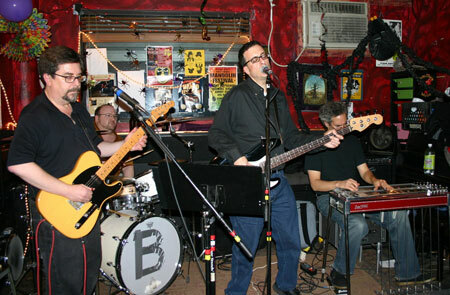 – July 23, 2012, 8 PM: We’re playing at Spike Hill, 184-186 Bedford Avenue, Williamsburg, Brooklyn. No cover. Above: a photo from the video shoot for “Teenage Popstar Girl,” directed by Daniel Azarian. Photo by Milton Kam. In addition, you can (and should!) still pick up our first EP, Some Other Place, in physical (CD) or digital (iTunes) form. This helps us put food on our tables and strings on our instruments. 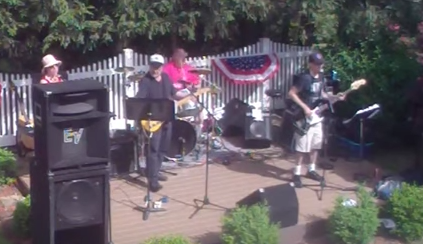 You can also hear some tracks at this Myspace page and view videos on YouTube. 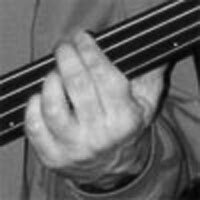 While you’re at it, download a free copy of Jon’s acoustic solo EP, Four Finger John. Featuring John Scarpulla on guitar, it includes the title track (a tribute to John Entwistle of The Who); a duet version of Hand-Me-Down with Elisa Peimer; and the first-ever recording of my original holiday fave, Don’t You Know That It’s Christmas. It’s a free download, but you can also preview the tracks if you wish. 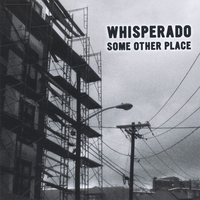 To contact us: email music at whisperado dot com.